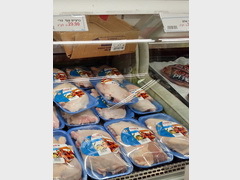 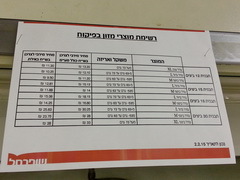 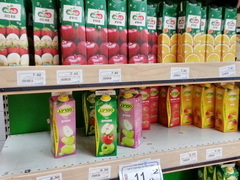 There are examples of prices in a large supermarket in Tel-Aviv for local residents. 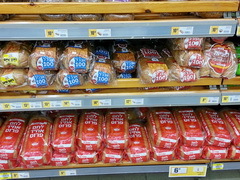 In tourist areas prices of food are higher. 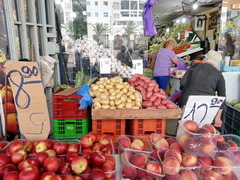 Hummus is a popular national food in Israel. 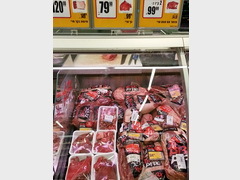 Prices 2,7 - 3,6 USD = 10 - 13 ILS per kg. 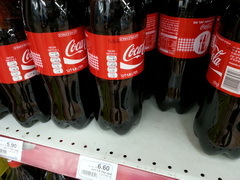 Coca Cola 1,8 USD = 6.60 ILS for a half liter. 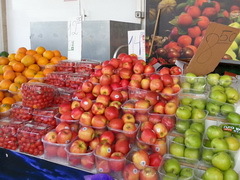 Cost of fruits, for 1 kg. 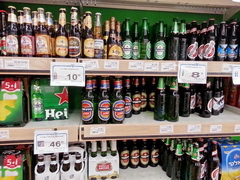 Beer 2,2 - 3,6 USD = 8 - 13 ILS for 500ml. 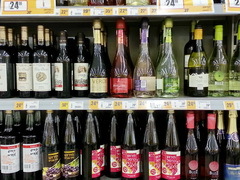 Wine 3,6 - 9,6 USD = 13 - 35 ILS for 750ml.